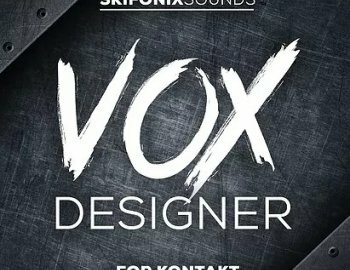 Skifonix Sounds presents Vox Designer for Kontakt. Build great sounding vocal runs and with ease. Each key contains 5 alternations of vocal (see screenshot below), allowing you to create unique sounding patterns straight away. All vocal samples have been individually recorded to help the instrument sound more natural. Also includes reverb and portamento effects to help give you more control. Perfect for creating catchy Future Bass, Trap and EDM vocal hooks! • Requirements: Native Instruments Kontakt v5.6.6+ or higher.